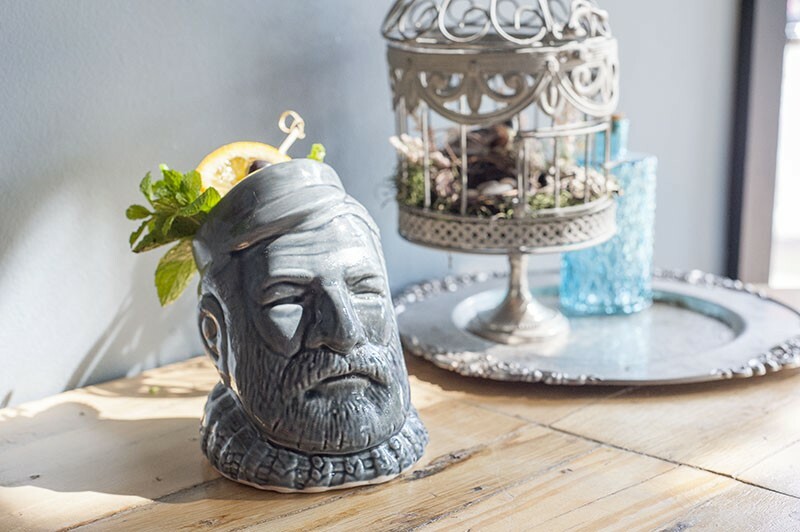 Only at the Libertine is your cocktail served in a vessel paying tribute to the original Big Papa. Behind the bar at the Libertine (7927 Forsyth Boulevard, Clayton; 314-862-2999) sits a giant Hemingway tiki drinking vessel because ... well, because why wouldn't there be? Since the restaurant opened in 2013, owner Nick Luedde — or Bacchus incarnate, as we like to call him — has been instrumental in crafting the Libertine's irreverent and ever-changing cocktail menu. In Ben Bauer he's found a compatriot whose mastery of the art of bartending is matched by his ability to keep up with Luedde's penchant for beautiful excess. This March, the pair conspired to concoct a classic tiki menu that takes the seriousness of the craft cocktail movement and laughs nostalgically in its face. Hemingway is just one of the magnificent heads you can drink from, as the Libertine's menu proves that what flows from Luedde and Bauer's noggins is as good as it comes.